A new book by Howard Marks will be probably published in October. It will be about cycles. Almost all of the features that can be seen on the main site are available for free, with delayed data. Analysis tools are quickly accessible to all users by clicking on the corresponding button on the main menu of the site. The site aims to make market information accessible and provides a lot of information in visual snapshots, allowing traders and investors to quickly find the stock, future or forex pair they are looking for. They have a guided tour for everyone who is new on FINVIZ.com. extensive line of products and services for individual investors, financial advisors, asset managers, retirement plan providers and sponsors, and institutional investors in the private capital markets. Morningstar provides data and research insights on a wide range of investment offerings, including managed investment products, publicly listed companies, private capital markets, and real-time global market data. For every investor who wants to get the fundamentals, the SEC side is a must. I highly recommend using the SEC files whenever you’re researching a company. I highly recommend subscribing to Howard Marks Memos. They’re a great pleasure to read and a super enriching source for everybody who’s investing! In his memos he offers detail investment strategies and insight into the economy. 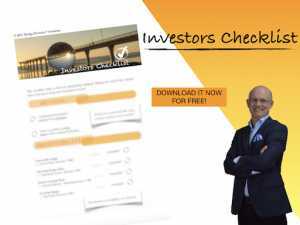 You will also find numerous interesting videos about investing. Subscribing is absolutely FREE with the advantage to get his newest memo right into your mailbox. Howard Marks is an American investor, writer, and ranked the #338 richest person in the United States, with a net worth of $1.95 billion. In 1995, he co-founded Oaktree Capital Management. He has published several books on investing which you can find above. Another great resource are the Investing Insights of Cambria Investment Management. You get a bunch of great information about investing. I highly recommend the White Papers (you should subscribe to keep informed), but the videos, podcasts and books are also worth a shot. Meb Faber also runs his own blog where you can get a bunch of new ideas! You can get Meb Fabers book “Global Asset Allocation” for free. Just visit his website and sign up! GuruFocus.com is dedicated to value investing and therefore a great side for every value investor or everyone who wants to become one. 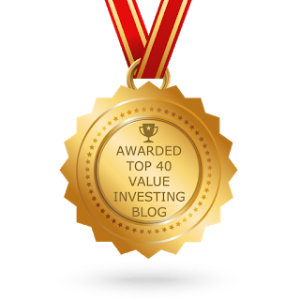 You’ll find a huge number of different articles about value investing strategies and ideas which are a great source of inspiration. You will also numerous value screeners and research tools, gurus picks and a forum on GuruFocus.com. The philosophy of GuruFocus.com is that investors would make a lot fewer mistakes investing if they were to select stocks from the ones that have been researched by the best investors in the world. GuruFocus.com tracks the stock picks and portfolio changes of the best investors in the world. One of the pages I really love, is Quora. People ask many different questions and other, even many professionals answer these question. It is a great source of knowledge and different views. “Quora’s mission is to share and grow the world’s knowledge, knowledge that would be valuable to many people, but that is currently only available to a few — either locked in people’s heads, or only accessible to select groups. Quora wants to connect the people who have knowledge to the people who need it, to bring together people with different perspectives so they can understand each other better, and to empower everyone to share their knowledge for the benefit of the rest of the world. Although not always related to investment, Farnam Street is a great source of ideas “that lead to meaningful understanding.” It “is devoted to helping you develop an understanding of how the world really works, make better decisions, and live a better life. We address such topics as mental models, decision making, learning, reading, and the art of living. Improving yourself by mastering “the best of what other people have already figured out”, can help you to become a better investor. The Tim Ferriss Show is a really inspiring podcast. His interviews with so many different high performing people are absolutely worth listening. The Show is also a great source to improve yourself and your investors skills with it. Tim Ferriss is also Author of “The 4 hour workweek”, “Tools of Titans” and others. Both books are great and inspiring and they will change your view. More Information about Tim’s books! Capital Allocators is a podcast run by Ted Seides. In his podcast Ted introduces leaders in money management. In a series of conversations you can explore how these money managers allocate their time and their capital. Ted Seides launched the podcast 2017. He co-founded Protégé Partners LLC and served as President and Co-Chief Investment Officer. Protégé was a leading multi-billion dollar alternative investment firm that invested in established small and select emerging hedge funds. Ted Seides did bet with Warren Buffett whether passive investing can beat active money managers or not. Unfortunately for him, he lost the bet. Each week Meb discusses in his Meb Faber Show the craft of investing, helping you uncover new and profitable ideas in the global equity, bond, and real asset markets. You can also expect to hear from some of the top investment professionals in the world as my guests.His mission is to provide you with real market wisdom that can make you wealthier and wiser. You should also visit the side go Cambria Investment Management and read the Investing Insights. For all my friends who understand German. I was guest in podcast “Aktien mit Kopf” by Kolja Barghoorn and had the honor to talk about my Foot Locker investment and some other investment stuff, like my strategy!